Abu Dhabi, United Arab Emirates- Al Forsan International Sports Resort is proud to announce an official partnership with Finance House, a forerunner in the regional marketplace, aiming at consolidating business relations in the Emirate. 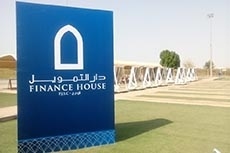 Finance House is a Public Joint Stock Company incorporated in the Emirate of Abu Dhabi. Operating through its headquarters in Abu Dhabi as well as its branches spread across the United Arab Emirates, the Company has 3 principal activities which consist of: proprietary investments, consumer and commercial finance. However, its vision encompasses far more than the merely simple business-oriented functions. For, Finance House takes pride in its continuous sponsorship efforts as well as its partnership endeavors that are primarily focused on the advancement and betterment of the UAE. “As part of our inborne culture, our aim is to encourage, a healthier and enhanced lifestyle in the UAE. In this context, it gives us great pleasure to be partnering up, with a renowned Abu Dhabi based sports resort such as Al Forsan. It is through such ventures that we aim to expand our horizons and further strengthen our presence in the local market. Looking ahead, we are certain that this step will not only generate a fruitful collaboration with Al Forsan but will also create a more rewarding experience for all its patrons,” commented Wissam Farran, Group Corporate Communications Manager, at Finance House. With Finance House’s credible industry experience, alongside Al Forsan’s vision of a fitter and more active UAE, this lucrative partnership is bound to deliver great results that are to be witnessed across the country.